Newer coaches often confuse the term “Tandem Relay” with a double cut. 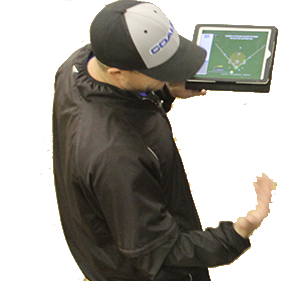 A tandem relay typically involves the middle infielders (Check out the Tandem Relays Video on our Video Page) with the exception of a ball down the right field line which utilizes the 1st and 2nd baseman (see the Tandem Relay -RF Corner in our video area). When running the tandem relay there is typically a primary relay and a trailer, they are usually only about 15′ apart and lined up with where the outfielder fields the ball and where the throw is going. The purpose of the trailer is to act as a backup to the primary. If the throw is difficult for the primary to handle, they can elect to let it go through knowing that the trailer is their to handle the throw and finish the play. The tandem relay is typically used in baseball and is used but less well defined in softball because of the much smaller fields. Most major college softball teams use a variation of the tandem relay making sure that the throw to the relay is backed up. Baseball teams which are playing on 60′ bases should check out the InMotion Video pages for Softball , a softball field is the same size as a standard Little League field and there are no lead offs.